New projects announced by the Dept. of Energy's Clean Cities program are funding efforts across the U.S. to improve alternative fuel infrastructure, training, ordinances, purchasing guidelines and even highway road signage. Improving fuel economy and energy efficiency in the U.S. "transportation fleet" means a lot of change that can mean new infrastructure, training, and planning around adopting vehicles that run on fuels other than gasoline and diesel. The U.S. Dept of Energy announced on Monday a set of new Clean Cities projects to help cities diversify fuel usage and otherwise prepare for alternatively fueled cars and trucks. The new projects are part of the overall Obama Administration strategy to expand transportation options and improve the fuel efficiency of vehicles in the market today and for years to come. Higher fuel efficiency means the economy overall would be able to maintain the same level of economic activity, while spending less money on fuel, and outputting less harmful pollution into the air and water. Clean Cities is an effort within the Dept of Energy, predating the Obama Administration, that primarily works to connect cities, commercial fleet operators, and suppliers of clean transportation technologies. The idea is to facilitate knowledge dissemination to commercial fleet operators, enabling them to make better fleet choices. American Lung Association in Minnesota - $248,788 - The Accelerating Alternatives for Minnesota Drivers project provides safety and technical assistance and training related to Plug-in Vehicle (PEV) and natural gas fueling infrastructure. 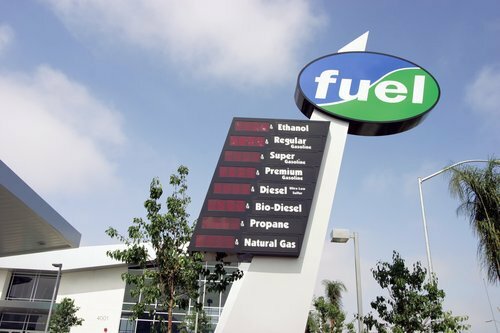 Bay Area Air Quality Management District - $1,000,000 - The California Fleets and Workplace Alternative Fuels Project is a statewide effort to develop templates and best practices for permitting AFV refueling infrastructure. Center for Transportation and the Environment (Atlanta) - $500,000 - The Southeast Regional Alternative Fuels Market Initiatives Program, which includes Georgia, Alabama, South Carolina and Tennessee, will provide first responder and vehicle maintenance technician training. City of Austin, Austin Energy - $500,000 - The Central Texas Fuel Independence Project will expand an interagency agreement to include alternative fueling infrastructure procurement. Clean Energy Coalition - $500,000 - The Michigan Fuel Forward project will work with a wide range of partners to convene an Alt-Fuel Task Force. Clean Fuels Ohio - $499,918 - The Fast Track to Ohio AFV Adoption project will streamline local and state processes for alternative fuel vehicle (AFV) procurement. Colorado Energy Office - $500,000 - The project REFUEL COLORADO, A Roadmap to Increase Alternative Fuel Use in Colorado will work to add alternative fuel vehicles to State Purchasing Agreements. Delaware Valley Regional Planning Commission - $319,038 - The Pennsylvania Partnership for Promoting Natural Gas Vehicles project will help municipal and school district decision-makers to encourage the procurement and retrofitting of natural gas-fueled school buses and solid waste collection vehicles. Gas Technology Institute - $764,266 - The Lake Michigan Corridor Alternative Fuel Implementation Initiative, which includes Southeastern Wisconsin, greater Chicago and Northern Indiana, will work to make existing municipal fueling stations available to other fleets. Greater Portland Council of Governments - $725,703 - The project Removing Barriers, Implementing Policies and Advancing Alternative Fuels Markets in New England will work to diversify the availability of transportation fuels across Maine, New Hampshire, Vermont, Massachusetts and Rhode Island. Greater Washington Region Clean Cities Coalition, Inc. - $500,000 - The Advancing Alternative Fuel Markets Adoption and Growth project in the District of Columbia, Maryland and northern Virginia will develop recommendations for uniform fire and building codes for alternative fueling infrastructure. Houston-Galveston Area Council - $500,000 - The Recipe for Fueling Diversity in the Energy Capitol of the World project will work to expand access to natural gas, propane and biodiesel transportation fuels across the eight-county Houston-Galveston area. INCOG Tulsa Area Clean Cities - $750,000 - The I-40 Collaboration of Clean Cities, a partnership across Arkansas and Oklahoma, will recommend building codes to accommodate alternative fueling stations. Metropolitan Energy Center, Inc. - $815,000 - The Mid-America Collaborative for Alternative Fuels Implementation project will focus diversifying transportation fuel options in Kansas, Nebraska, Iowa, and Missouri. National Association of State Energy Officials - $500,000 - The Unlocking Private Sector Financing for Alternative Fuel Vehicles and Fueling Infrastructure project will produce comprehensive state energy planning guidelines to support alternative fuel vehicle and infrastructure use. New Mexico Energy, Minerals and Natural Resources Department, Energy Conservation and Management Division - $500,000 - The Advancing New Mexico’s Alternative Fuels project will work with the Governor’s office and other appropriate entities to address alternative fuel vehicle road signage issues. North Carolina State University, North Carolina Solar Center - $500,000 - The Alternative Fuel Implementation Team (AFIT) for North Carolina project will develop petroleum reduction toolkits for fleets. North Central Texas Council of Governments - $500,000 - The Moving North Texas Forward by Addressing Alternative Fuel Barriers project will focus on educating policy-makers; updating the State Implementation Plan (SIP). University of Central Florida - $500,000 - The Advancing Alternative Fuel Markets in Florida project will develop model codes, ordinances, purchasing guidelines and incentives. Wisconsin Department of Administration, State Energy Office - $500,000 - Forwarding Wisconsin’s Fuel Choice will expand highway road signage to include available alternative fueling stations. "Building a clean and secure U.S. transportation system that leverages our domestic energy sources will give American families, businesses, and communities more options and reduce fueling costs," said U.S. Energy Secretary Steven Chu. "At the same time, these projects will help lead the way to further reducing America's dependence on foreign oil and protecting our nation's air and water."